This was drawn as the promotional image for the 2019 annual Shaping Portsmouth Conference, held at the Guildhall on Friday 18th January. The promotional art projected onto the screen on the Guildhall stage at the event itself. 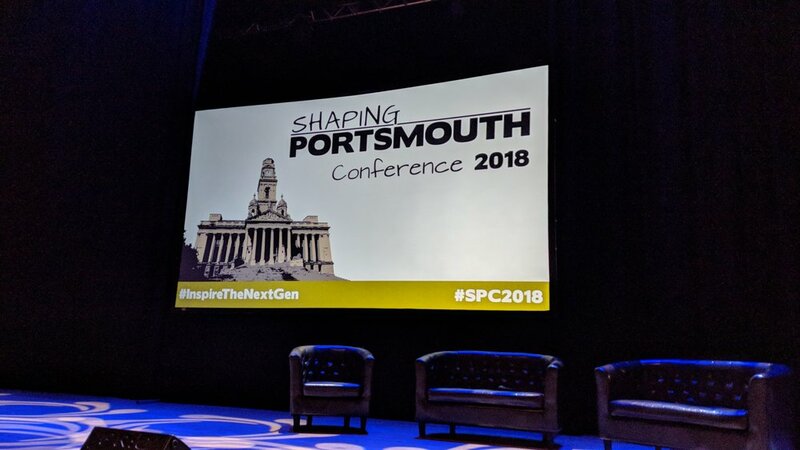 This was Shaping Portsmouth’s most successful conference yet, completely selling out the Guildhall weeks before the event. An icon to represent Cybercrime as part of Shaping Portsmouth’s branding. 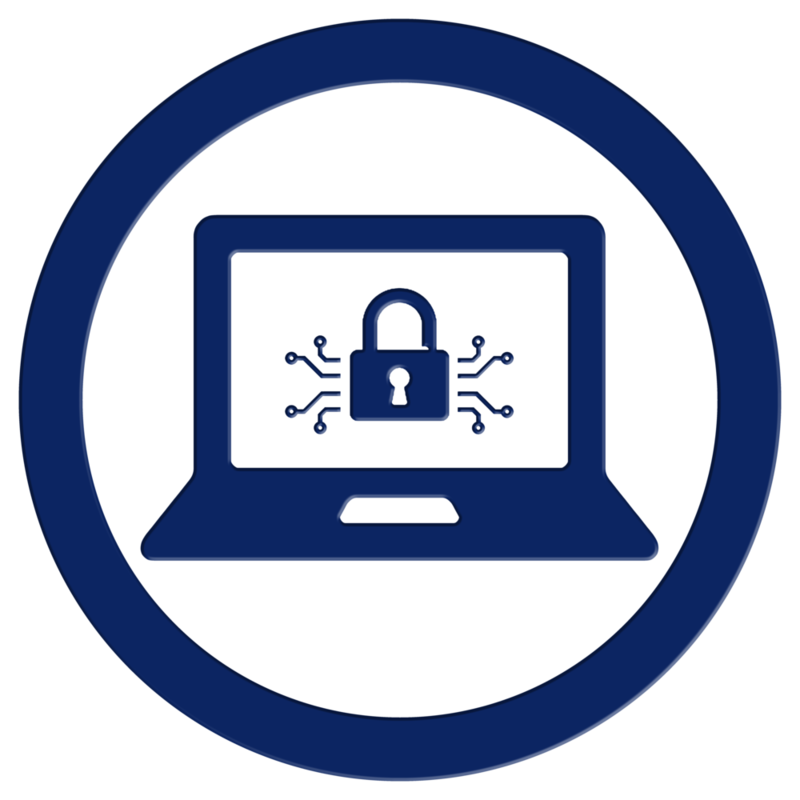 This icon was created for the announcement that Shaping would be looking into starting a Cybercrime programme at the 2019 Conference. An icon to represent Sponsorship as part of Shaping Portsmouth’s branding. After making their new logo in late 2016, I created a full rebrand for Shaping Portsmouth in late 2017, which launched in early 2018. I updated the colour scheme to be more appropriate for Portsmouth, while still keeping a strip of the familiar green, and created new artwork representing Portsmouth landmarks. These are designed to be modular, allowing landmarks to be swapped out for others from a library, keeping the branding fresh. I also redesigned their programme icons as part of the rebrand. 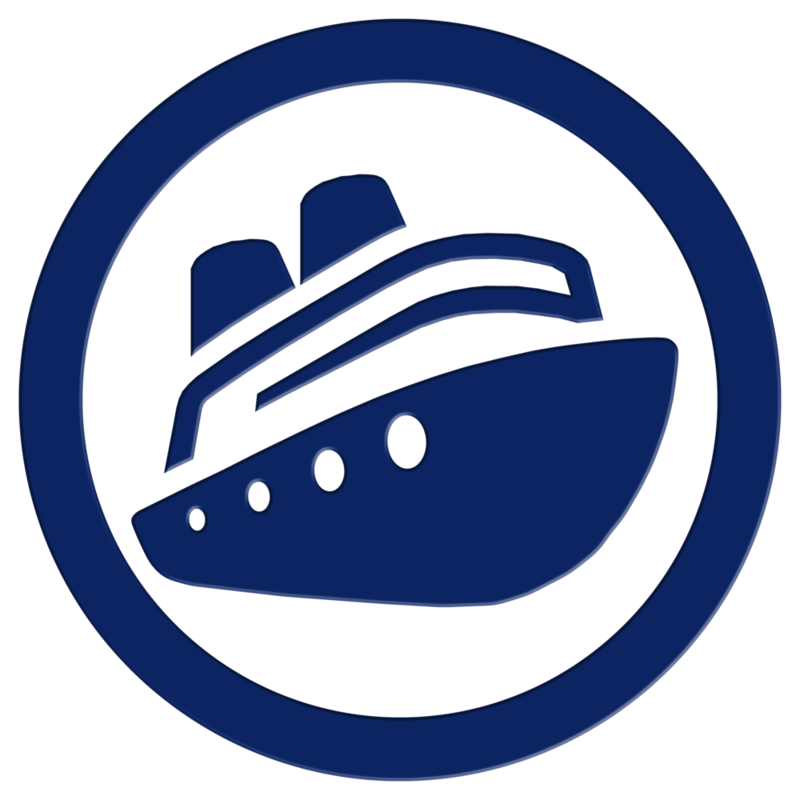 An icon to represent Shaping Portsmouth’s Cruise Programme as part of their branding. The aim of the programme is to encourage visitors on the cruise ships that dock at Portsmouth International Port to stay in the city, rather than go to London or Stonehenge. A new logo designed for Express FM for their 2015 rebrand. 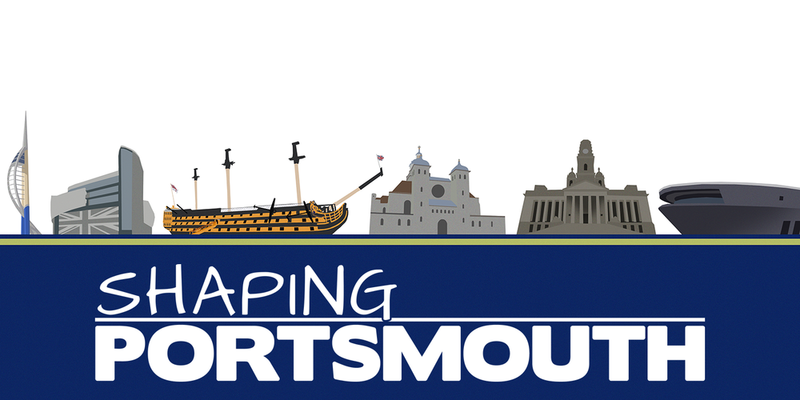 A new logo designed for Shaping Portsmouth in December 2016. 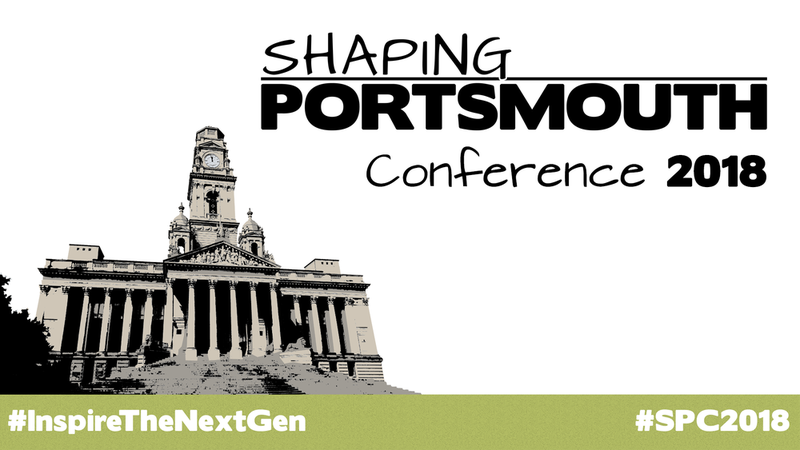 Promotional artwork for Shaping Portsmouth’s 2018 conference, held at the Guildhall on Friday 26th January. The aim of the programme is to teach local schoolchildren about the wide variety of jobs available in the area, and provide them with as much information as possible to help them on the path to their chosen career. a “square” version of the logo from Express FM’s 2015 rebrand, used for profile pictures on their social media accounts. A logo designed for Express FM’s 2013 rebrand. Variations on the 2013 logo design, used as header banners for their “listen again” sections. 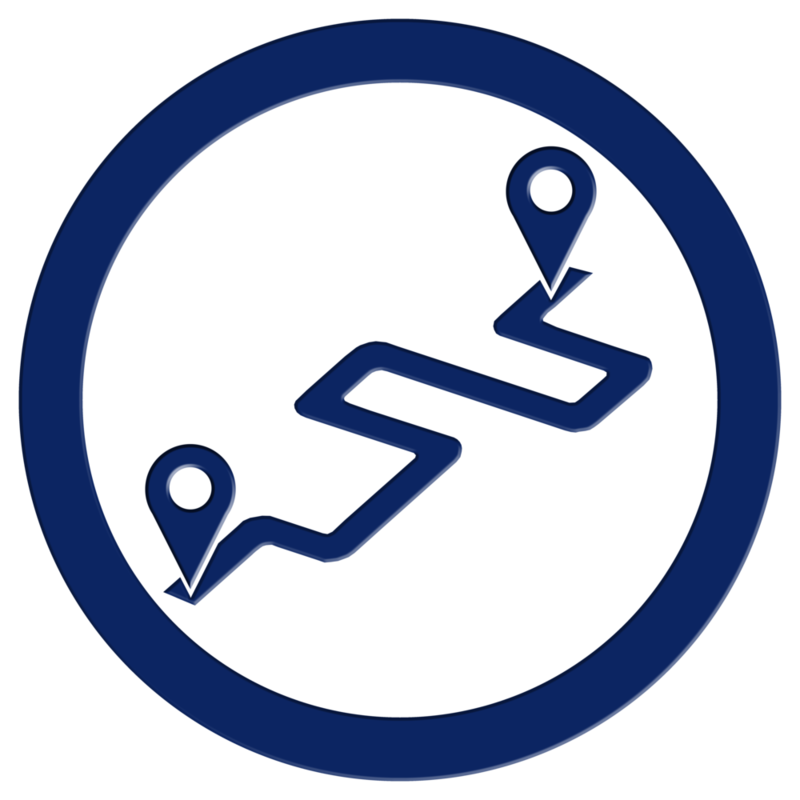 An icon to represent The Developers Group, as part of Shaping Portsmouth’s branding. A logo design commissioned by a friend for her new venture, running drama classes for adults.